On March 19-20, 2016, Autogeek will host the 11th annual Detail Fest & Car Show, offering a unique opportunity for car enthusiasts from around the globe to gather and celebrate their shared passion for cars! Detail Fest is a FREE, two-day event that is open to the public and will feature car shows, product demonstrations, mini-detailing classes, food vendors and live entertainment. Detail Fest provides a chance for fans and professionals alike to meet industry insiders and celebrities in a fun and casual setting. Each year, awareness of Detail Fest grows and AutoGeek anticipates a record number of participants and spectators this year. We are located at: 7744 SW Jack James Drive, Stuart, FL 34997. Look for the Autogeek sign along the Florida Turnpike! Saturday’s car show winners will receive a trophy! Limited space available, register today! Scroll to bottom for more details. A lot of you know him from Meguiars Car Care and from Car Crazy on Velocity. Barry will be walking the show and meeting the attendees! Host of My Classic Car will be at Detail Fest both days! Get a chance to meet car-guy legend Dennis Gage and to get his autograph! 2x NHRA World Champion, host of Garage Squad and Co-host ofTruckU, will be at Detail Fest along with the Autogeek.net Copo Camaro Dragster, and will have autograph sessions during the event! Co-host of TruckU, will be on hand to hang out with customers, and will have autograph sessions during the event! Host of Chasing Classic Cars on Velocity, will have autograph sessions during the event! Host of Overhaulin’ on Discovery Channel. He now also works for NFL Network, and recently hosted the interactive portion of Chopper Live and Gold Rush Live both on Discovery Channel. Autogeek’s Director of Training will be teaching classes and have autograph sessions on Saturday and Sunday. The Demo Tent at this year’s Detail Fest is being sponsored by Grit Guard! Grit Guard is the maker of car washing solutions that protect your vehicle while improving its appearance. The company’s primary focus is protecting your vehicle as it is being washed. The Demo Tent is where you will be able to witness live product demonstrations from car care manufacturers you know and love. Stop by the Demo Tent to improve your detailing skills! A portion of the proceeds from Detail Fest 2016 will benefit several charities including Treasure Coast Autism Project and South Florida Teen Challenge. Click HERE to learn more about the official charities of 2016 Detail Fest. All the vendors that will be present at Detail Fest have made donations to this great organization! We’ll be taking donations at Detail Fest as well. We look forward to seeing you at Detail Fest! Saturday, March, 19, the Detail Fest Car Show will take place, handing out a total of 15 trophies to winning participants! Car Show trophies will be given to 1st, 2nd, and 3rd place winners in 5 different categories! All registered participants must have a car to show. If you have two vehicles (same household), the second vehicle is free. Sunday, March 20th will host a "Festival of Clunkers" (New Addition!) Car Show and a Car Club/Battle of the Manufacturers Car Show. 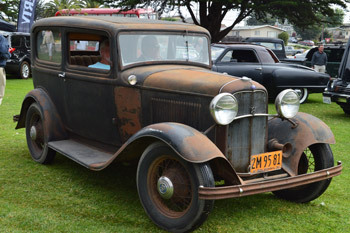 Festival of Clunkers is a car show for all the old, rusty, unfinished, weathered, and worn classics! The Festival of Clunkers Car Show is for all the rat rods and clunkers that wouldn’t fit in at a regular car show where shiny paint and finish quality are the criteria for winning. Attending car clubs will be announced at a later day. Please put the name of your car club at the check out menu below. Sunday is FREE to attend. Throughout both days, everyone is encouraged to visit vendor booths to ask questions, watch product demonstrations and meet celebrities. This year, expect to see Dennis Gage,Bruno Massel, Matt Steele, Barry Meguiar, Wayne Carini, Chris Jacobsand Autogeek’s own, Mike Phillips! Dennis Gage, the host of My Classic Car, will be signing autographs will interact with vendors. 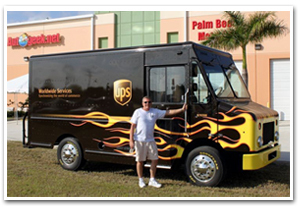 Bruno Massel is the cohost of TruckU and driver of Autogeek’s National Hot Rod Association (NHRA) car. Bruno will be celebrating at Detail Fest after winning multiple NHRA Championship titles. Matt Steele, cohost of TruckU will be on hand to sign autographs and interact with vendors. Barry Meguiar of Meguiars Car Care fame and Car Crazy Central, will also be signing autographs. Throughout the weekend Autogeek’s own Mike Phillips will be signing copies of his book, interacting with vendors and hosting mini-detailing classes. We are located at: 7744 SW Jack James Drive, Stuart, FL 34997. * If you are not entering a vehicle, there is no need to register! Detail Fest is free to attend as a spectator. 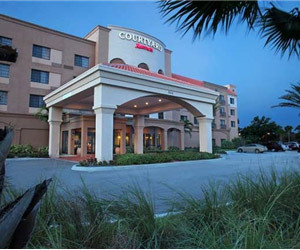 Hotel: We have reserved a block of rooms for special rate at a new Courtyard by Marriott less than a mile from us. Please call 1-800-869-3011 ext. 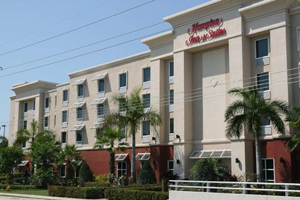 246 or email us for room rate discount information. Airport: West Palm Airport (PBI) is 30 minutes south of us, Orlando (MCO) is about 2 hours north and Fort Lauderdale (FLL) is about an hour and a half south. We will announce more information on events and travel as it becomes available in our newsletter and onAutogeekOnline.net. If you’re not already a newsletter subscriber, sign up here . Detail Fest is open to anyone wanting to walk around and check out the products and demos. Join us for refinishing system demonstrations, polisher demos, facility tours, sanding demos, dent and ding removal demos, hands-on training, food, live music, and much more! Autogeek’s 11th Annual Detail Fest & Car Show is on March 19-20 in Stuart, Florida.